Willie James Turner, was born December 20, 1942 in Mt. Pleasant, Texas to Arthur and Lou Ella (Grant) Turner. He died, Monday, April 8, 2019. He attended Booker T. Washington High School, Mt. Pleasant. He met and married Charlene Traylor in January 1970. 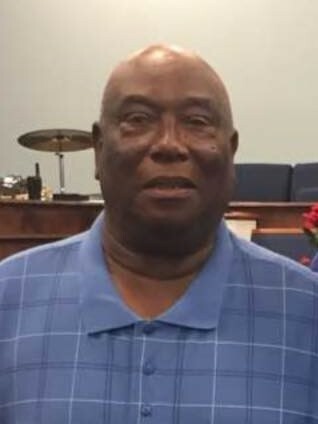 He was preceded in death by his father, wife Charlene, a daughter Carolyn, brothers L.A. Turner, Onzie Turner and Otis Turner, sister-in-law Darlene Traylor, brother-in-law Winfred Earl Traylor. He leaves to cherish his memories daughter and son-in-law Cynthia and Scottie Starnes of Gilmer, Texas; his sons and daughter-in-law James Turner of Cason, Texas; Otis and Lisha Turner of Kilgore, Texas, Willie Elliott of Dallas, Texas; 10 grandchildren and 6 great grandchildren; his mother Lou Ella Turner of Omaha, Texas; sisters Shirley Traylor of Mt. Pleasant, Edith Turner of Longview, Betty Ann Turner of Omaha, Texas; brothers Lawrence Turner and Arthur Morris Turner both of Mt. Pleasant, Texas, Willie Ray Turner and one uncle James Grant both of Dallas; special friend Doris Rush, and a host of nieces, nephews, cousins, other relatives and friends.